Entrepreneurs already wear multiple hats with start-ups and small businesses. Even if a small business has multiple members, budgets are often tight. Marketing and advertising a website online is often not necessary in a budget. Therefore, here are 5 methods your small business can create momentum online. 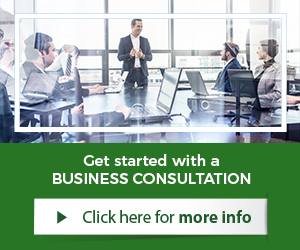 Internet or online marketing does not have to be so complicated. It is true that it is a more complex and multifaceted approach. To simplify things a little, here are 5 methods that are clear to understand and not that complicated to accomplish. Successful efforts create momentum online for a website and business. 1. Get reviews online published. So many customers and consumers are influenced in their decision-making by product, customer, and client reviews. Reviews are a critical sales aspect for a business especially online. Consumers, who expect it and trust a brand more with reviews, often dictate this. Small businesses should publish reviews on their website, but also remind clients to give them a review on sites such as Google, Yelp, and other review sites. Review sites further enhance online visibility for a small business, drive site traffic, and potential business. 2. Launch a Responsive Design website. Any small business that invests into a website that is not a Responsive Design website has made a bad investment. All websites moving forward should be mobile-friendly (responsive design), especially professional websites for a business. 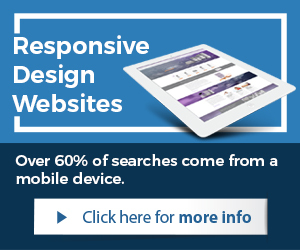 Responsive Design websites respond to the device that is accessing the site, displaying the website properly for smart phones, tablets, and computers such as Notebooks. These mobile-friendly websites are ranked higher in search engines such as Google, convert more sales, acquire customers easier, and come with many more benefits. 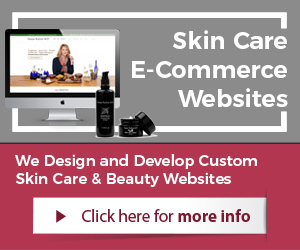 A small business should put a Responsive Design website to work for them. 3. Manage Social Media channels. There are many social media channels these days, which makes it overwhelming at times for start-up companies and small businesses. Since social media is such a large part of life now, a small business should manage a set of social media channels properly for best results, such as Facebook, Twitter, Instagram, Pinterest, YouTube, and LinkedIn. These should be properly setup, customized, and small businesses need to frequently upload new content in the form of articles, images, and videos. To create an active community on social media channels, share relevant and quality driven content. 4. Claim online local business listings. This is often overlooked, but should be done as soon as possible. A business should claim online local business listings with Google, Bing, and other websites such as Yelp. Depending on industry, a small business may also claim listings with industry specific sites, as well as review websites. Often, a small business can add photos, contact information, and details about the business and services or products. Localized listings add quickly benefits to a business. They support search marketing campaigns, customer acquisition, sales, and more. 5. Deploy and manage a company blog. A business start-up or small business should ensure that their business website has a properly setup and well managed blog. Blogs come with a vast amount of benefits for any size of business, especially start-ups and smaller companies. Blogs that are setup correctly and content is frequently uploaded are indexed by search engines such as Google over 400% more. This drives site traffic, conversion, and trust also with consumers, who read the content. A small business may not be able to do everything or have a robust marketing campaign such as a professional agency may be able to manage, but it certainly can do something that will benefit the business. These are some things a business can do that will create momentum online.